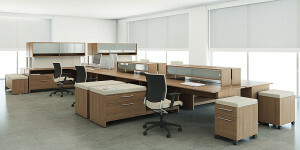 IDI specializes in Commercial Office Furniture for all sizes and types of businesses. Office Furniture is what we do and it’s our passion. If you are looking for Office Furniture in the St. Louis MO area we can help. If you are looking for Office Furniture in Springfield MO we can also help. We have locations in both St. Louis and Springfield Missouri and we travel between them weekly. This also means that if you are located anywhere in the southern half of Missouri you are in our area. 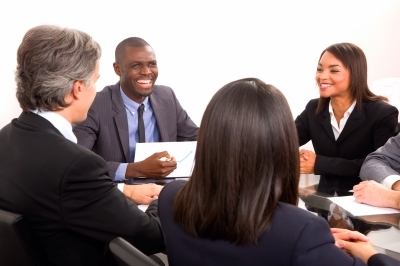 You will find working with us is easy first because we come to you. The process that we have developed is designed to make your experience Stress and Hassle Free. Our operation is designed to provide with the right furniture to meet your budget so you can achieve your goals for your office and subsequently your company. We’ve designed our website to help you find furniture options to fit your needs. Whether you are looking for office chairs, desks, files, cubicles, tables or other furniture you will find it here. If you are looking for information on who we are and how we work check out our Resources section. There’s lots of good stuff there if that’s what floats your boat. Got questions? Go to Contact Us and Let us know what we can do to help you. We want to make this as easy to find information as possible so we’ve organized the site into 4 main sections. Each one below describes briefly what you are going to find. When you click on a section it will open up to reveal lots and lots of great stuff on that area. We are striving to make your experience with us Stress and Hassle Free. Please let us know if there is anything we can do to make your on-line as well as your off-line experience better. It’s what we do and love. You will find every type of furniture that you need for your office or company. From the latest task chairs to custom executive furniture and everything in between it's all here. Click on the button below to see it all. Everything from how we process orders to furniture delivery, installation and service. From the beginning of a project where you are just planning on doing something . . . all the way to cleaning out your old office and handing over the keys. IDI is your partner the whole way through. We love our clients and we enjoy taking care of them. From small 2-3 person offices to large corporations, we cover a lot of people. Check out our growing list of clients here. We would like to see your name added to this list soon so you can experience what these companies do when buying their furniture. That's what you are going to find here. You can get lost in here for hours - don't worry, just send us an help with an SOS and we will send in the troups to find you.
! Have A Laugh On Us ! Copyright © 2015 Interior Dimension, Inc. All rights reserved.